Do you have information to share with CDXC members? If so, please submit your news here. Palm Island is an exclusive, private-island resort. This idyllic tropical hideaway is situated near the southern tip of St. Vincent and the Grenadines, an idyllic archipelago of 32 tropical islands and cays known for its stunning natural beauty, clear, warm waters & turtles. GD has not seen much activity on RTTY and PSK for a while now. That’s the reason for a planned operation in March 2016. Modes: Mainly RTTY. Some PSK if it gets slow. I shall also be working the BARTG HF RTTY contest 19th/20th March with the call GD0A. Daily log upload to Clublog. QSLs for both calls will be handled by Charles M0OXO with OQRS preferred, direct or bureau also OK. Publicity is always welcome! Thanks for your help. Today (Monday 17th March) the team are assembled in Los Angeles – we even had the opportunity to experience that special Californian welcome, a minor earthquake! We fly out to Tahiti late this evening for another overnight stop, arriving Raivavae on Wednesday 19th March. We hope to have at least a couple of bands up and running late Wednesday Australs time, which will be around dawn in Europe on Thursday 20th March. Everything is looking good for our trip. We have the LoTW certification and a TX6G lookup (with OQRS) on ClubLog. We are aiming to upload to both on a daily basis, internet connectivity permitting. High band conditions remain good and we are hopeful that will remain the case during our expedition. The weather forecast for the Australs suggests we will be experiencing some local thunderstorms, which may affect our low band receiving capabilities. But we have plenty of LF experience between us, so we will persevere! We look forward to making lots of QSOs on 160 through 10m, CW, SSB and RTTY. There is a contact form on the tx6g.com website – we will check regularly but probably won’t have time to send individual replies. Look for the daily blogs on there for the latest news. Don G3XTT and the TX6G team. Team members: Chris, G3SVL, Don, G3XTT, Dave, G3WGN, Nigel, G3TXF, Bon, G3BJ, Justin, G4TSH, Hilary, G4JKS. Iain M0PCB and Steve M0SPF are going to be in Montserrat from 5th to 10th March 2014. Iain will be operating CW only with the callsign VP2MXI and Steve will use VP2MZR on SSB and RTTY. Operation will be holiday style with an entry into the RSGB Commonwealth contest on 8/9th March. A group of seven operators from the UK will operate from the island of Raivavae in the Australs (IOTA OC-114) from 20th March until 1st April, all bands CW, SSB and RTTY.The operators are Don G3BJ, Chris G3SVL, Nigel G3TXF, David G3WGN, Don G3XTT, Hilary G4JKS and Justin G4TSH. They plan to run up to three stations, each consisting of a K3 plus amplifier. Antennas will consist of various vertical systems on the beach. The team will upload logs to Clublog and, bandwidth permitting, will also be uploading to LoTW as the expedition progresses. QSL will be handled by G3TXF and requests can be made directly or via the Clublog OQRS facility. Christian EA3NT, Raul EA5KA, Vincent F4BKV and Col MM0NDX – from the Invoker Team - will be active from six Panamanian island groups as HP0INT between September 5-19, 2013. The team plan to be QRV from the following IOTA: NA-071, NA-072,NA-088, NA-170, NA-202 and NA-203. They will sign HP0INT/1, /2, /3, /4 or /9 depending on each IOTA group activated. After more than eight years in Malaysia, my wife Eva, 9M6EVA, and I have decided to move on to another part of the world. 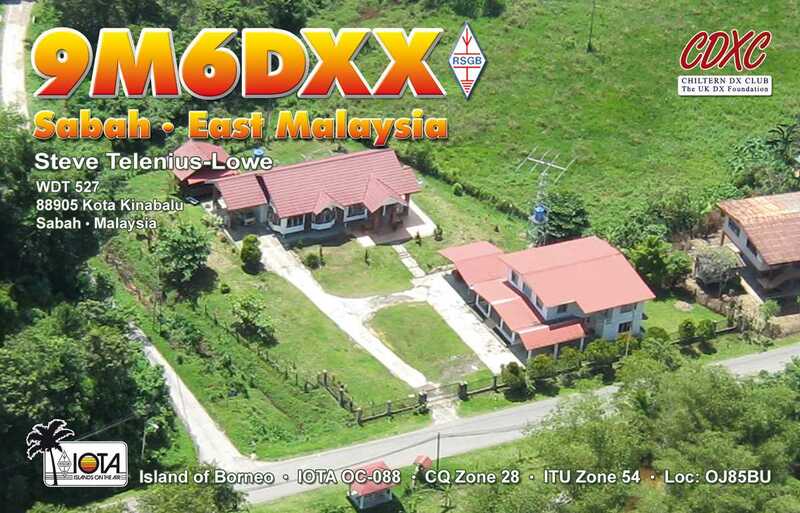 We leave Malaysia on 1 November, therefore 9M6DXX will go QRT some time in October. 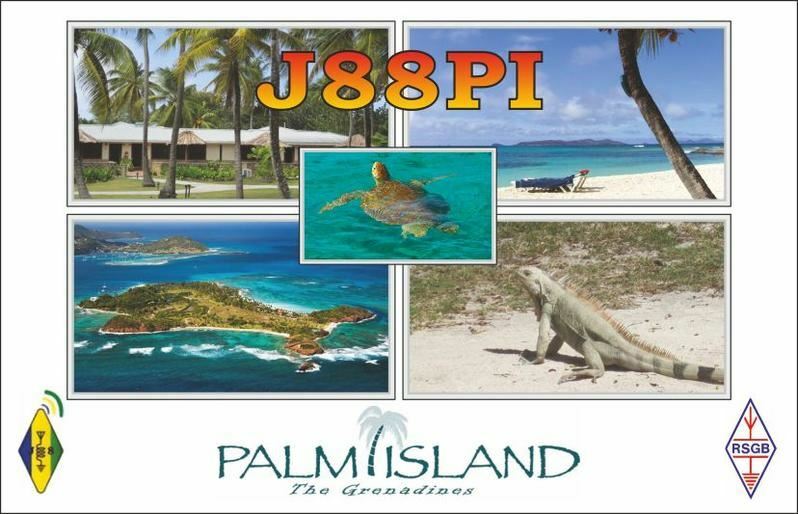 9M8Z has already closed down; the last QSO from that station was made in the RSGB IOTA Contest in July. We will be moving to Bonaire and we hope to be active with PJ4 callsigns before the end of the year. Thanks for all the QSOs from 9M6DXX and 9M8Z (also 9M6DXX/P, 9M8Z/P, XU7DXX, V8FEO, V85/9M8Z, FK/G4JVG, T32MI / CI / VI / SI, 4W6A, GD4JVG and 9M4SLL) since 2005. It's been fun! I'll be on holiday in Mauritius from 18th to 28th September and I hope to be QRV for 2 to 3 hours per day as 3B8/G0TSM. I'll be using an IC-7000, 100W, simple wire antennas on 40M to 10M and a 2 ele quad on 6M. (Sorry no 160M, 80M or 60M). The modes will be SSB, CW and RTTY. Unfortunately due to the return flight times I am unable to fully participate in the CQWW-RTTY contest, but I will do my best to make a few Search and Pounce QSOs on Saturday morning (3B8 time) before packing away the station. can be made via email. The log will be uploaded to LOTW and Clublog during the holiday. My thanks goes to Jacky 3B8CF for assistance with the licence application process. G3RWF Nick reports that on 24 Sep. 5X1NH will again be QRV, until 16 Nov. I will be meeting up in Uganda with Alan G3XAQ and we are going together to 9X on 19 Nov. On air from there incl CQWW for about 10 days. Return to Uganda and then home on 2 Dec. Probably worked everyone by now but do give me a shout - I am trying to get to total of over 100,000 QSOs from Uganda as this will be my last long trip there I think.